O‌n 17. 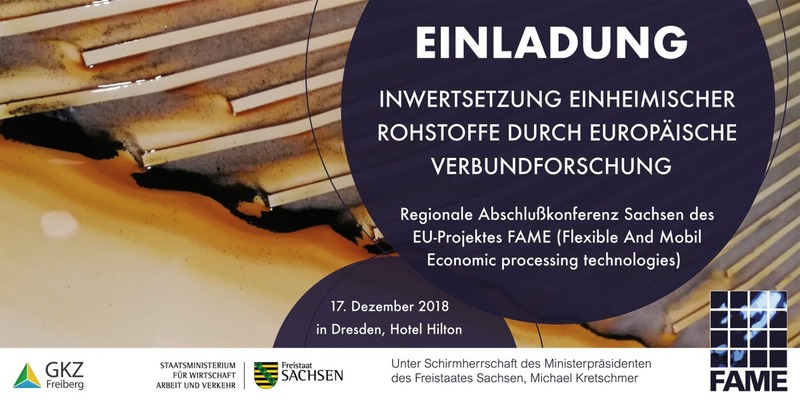 December 2018, the regional closing conference is taking place in Dresden/Germany, under the heading “Valorization of indigenous raw materials with European collaborative research”. Start of the event is 9.30 am. FAME is a project within the European research framework programme HORIZON 2020. For four years, experts from seven countries researched the optimization of existing technologies and the development of new technologies for processing locally occurring and representative Sn, W, Li ore in particular skarns and pegmatites. The challenges were in a complex mineral assemblage that makes processing difficult and the usually low enrichment level of the recoverables in the ore. 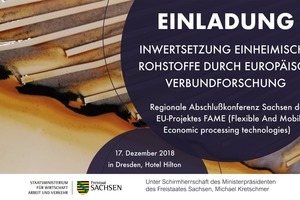 FAME is also an example of the cooperation of European and German R&D programmes. In collaboration with a project funded by the Germany‘s Federal Ministry of Education and Research (BMBF), it stands for the development of an industrial pilot plant in Freiberg for processing the Sn, Zn, In skarns from the Tellerhäuser deposit. Goal here is the yield of a marketable tin ore concentrate that can be supplied to local smelting plants. FAME stands accordingly – besides for enhancement in know-how – also for the preservation of value chains and strengthening of the regional economy. 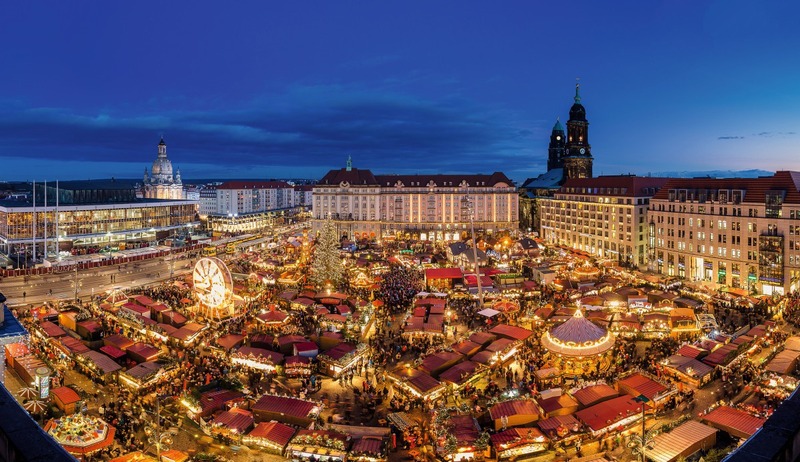 The programme provides an insight in those project activities concerning Saxony and is presented mainly by the Saxony-based partners. The plenary lectures provide an introduction to the future user worlds of the critical raw materials, some of which also processed as part of FAME: In cities as well as in space! 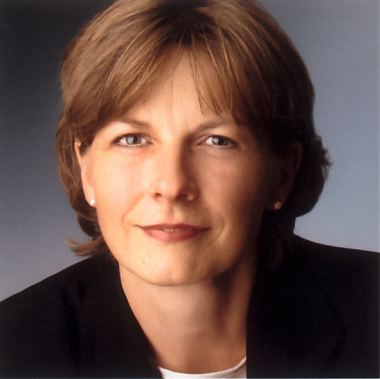 FAME also stands for European cooperation and thus for the “Life of the European Idea”. This is illustrated by the accompanying exhibition “Faces of FAME - Faces of a Project”. It shows 21 portrait images of FAME partners by the renowned Düsseldorf-based portrait photographer Alexander Basta. They give an insight in to the “soul of the project”. 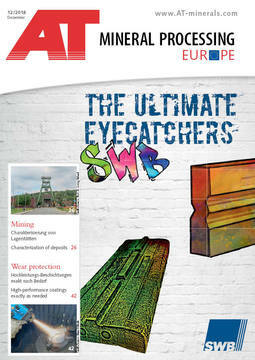 The exhibition is accompanied by a comprehensive catalogue. 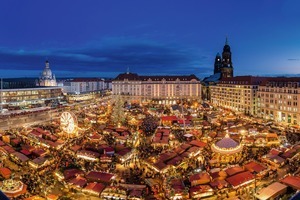 At the same time, the traditional Dresdner Striezelmarkt will take place for the 584th time on the Altmarkt, within walking distance of the venue. Attendance at the event is free of charge. Closing date for registration is 10. December 2018. 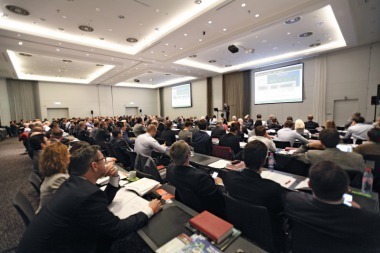 Further information, registration documents and the programme are available at www.gkz-ev.de.